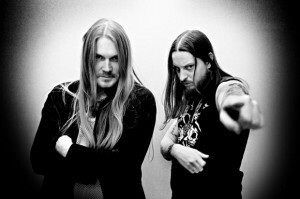 DarkThrone once started out as a a death/thrash metal band, switched to black and nowadays makes a dark kind a heavy metal! They don’t perform. They don’t want fame. They make and do what they want. Thank Lucifer , Fenriz was up for an interview. Below you can read what he has to say about Underground Resistance and more! The Underground Resistance embarks another great Darkthrone classic, how do you look at the album now it’s almost among us? There is a lot of metal variety on this album, where did the passion came from to dig in so much genres of metal? I love the new direction the album took! Are you not afraid that some of the fans will dislike the new path? Fenriz: Hello, that always happens to every band J the alternative would have been to just release an old album under another name, really. Change is change and life is changing and you win some and lose some – in musicians case that would be fans. 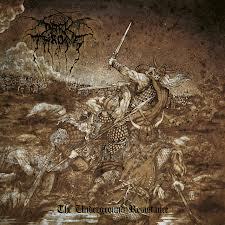 Brutal seems to be gone out the Darkthrone music but for me the same vibe is still in it. Where do you find the inspiration to making this dark vibe? Fenriz: I think when Ted sings his own lyrics on his songs on this album, it doesn’t get more brutal and HONEST than that. When people try to do brutal stuff in music and with vocals, some succeed and some don’t, often you don’t really know why but often it’s because someone is portraying something they are actually tired of, they just repeat what they “can do”. We did that sometimes too, I guess, but it was always an eyeopener to move on (backwards) and make the style you burn for in that moment in time. Fenriz: Anyway, we were actually never into making brutal stuff, I think we never even used the word while talking about our stuff. Dark, yes, epic yes, hard yes, soft even (that would be my vocals are softening up haha). but BRUTATL? Sounds like we are the extreme noise terror peel session or something. Which is awesome, but that vibe just ain’t us. We’re not Krisiun either. Almost every piece of art you guys make got a different approach and direction. Is this the way for you to keep it fresh? Fenriz: Good question, but we never plan, we just move on, making our songs on our own and then meet up to record them. I mean two of the songs for this album was already made and recorded in February 2010, months before Circle The Wagons (our previous album) came out, so we just continue where we left off and when it’s enough songtime for an album, then that’s it. maybe someone WANTS it all to be a masterplan..and is disappointed that it’s not, but I am really proud that we evolve very naturally, sound naturally (we come from the 70s where the instruments sounded like the actual instruments) and act…TOTALLY ALIEN ahahahaha no but really. Fenriz: What is fresh is that we usually listened AND LISTEN to the stuff that will be bigger in future years, and it’s all old styles but even the old styles come back in cycles. When we started playing more death metal it was like one other death metal band here. And when we went black metal it was 2-3 others. And now with my speed metal stuff, that I’ve done for years, well there’s NO other bands here that do that. I also got my youth time in the global international underground in ’87 and ’88 and ’89 and I am used to that the world is like that. You listen a lot so you are also the first one to get tired and find a fresh angle. You guys started out way back in the mid 80ties, did time change much for you? Fenriz: Everyone says “yes AND no” here, I guess. But we are recording in a way that would still be considered primitive in the late 60’s. like we can only have reverb on two of the channels on our ministudio NECROHELL 2!!! So it is more like …. In 1988 we would love to have that studio but we didn’t have money or time or space for it, it was a lack of resources and lack of steady playing abilities. When we got the studio now in 2005 it was like we could continue our visions from 1988!!! How do you look back at the time the second wave kicked in? If you look back at the past, do you regret some things musical wise, or are you happy with every record that came out? 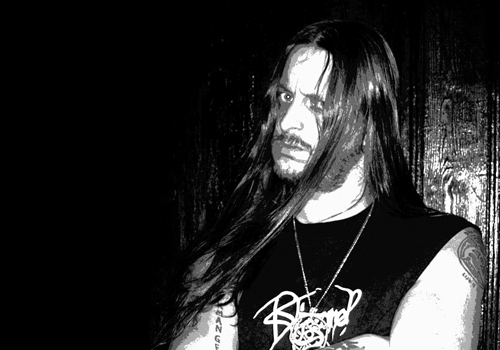 Fenriz: No, because after Ted and Zeph moved far away in 1992 it was hard to do ANYTHING, so that’s why our changes was so slow in ’96-2001, it couldn’t be helped. I often think within myself we never change soon enough, but then again we don’t discuss it between us, we just shut up and let the other one work the way he wants. And so changes come when they do. We had no choice to record “Soulside Journey“ with what I would call modern sound, and we learned a valuable lesson seeing the enemy sound from within. Now we could fight it with all our hearts cuz we KNEW. I had a different mix I liked for total death but we went for another. I’d like my mix of it to be there in the future, but it’s lost. What can we expect from Darkthrone in the near future? Can we expect some liveshows from Dark Throne? This is about it, is there anything you wish to share? 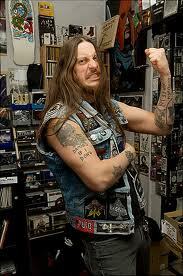 Fenriz: We play OLD METAL WITH OLD SOUND! Don’t forget to listen to HOUR OF 13!!!! The Metal Experience gaat van start op 22 Maart !